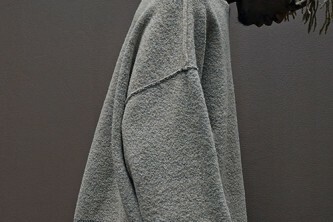 Sportswear titan adidas physicalizes the brand’s essence in the opening of its largest store worldwide, the new flagship on 5th Avenue, New York City. 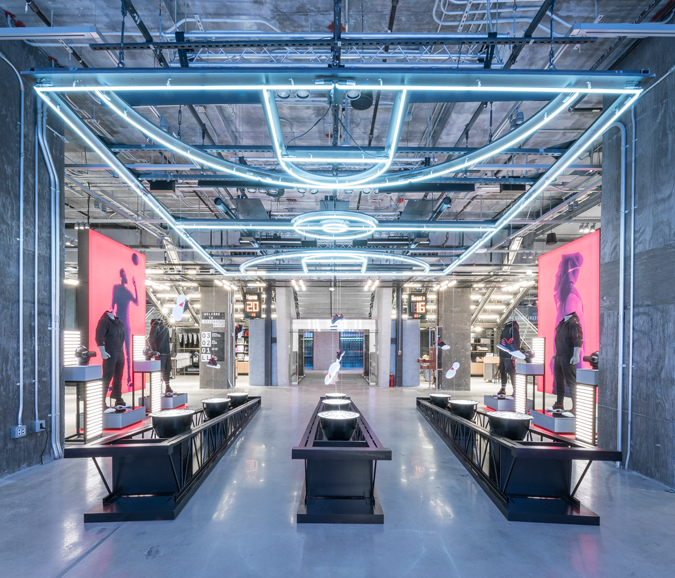 Inspired by American high school stadiums and covering more than four floors and 45,000 square feet, the store is a beacon not only of adidas but of New York itself. With its factory-meets-gymnasium aesthetic, the flagship is definitive, featuring a ceiling network of fluorescent lights, pipes, and cages. 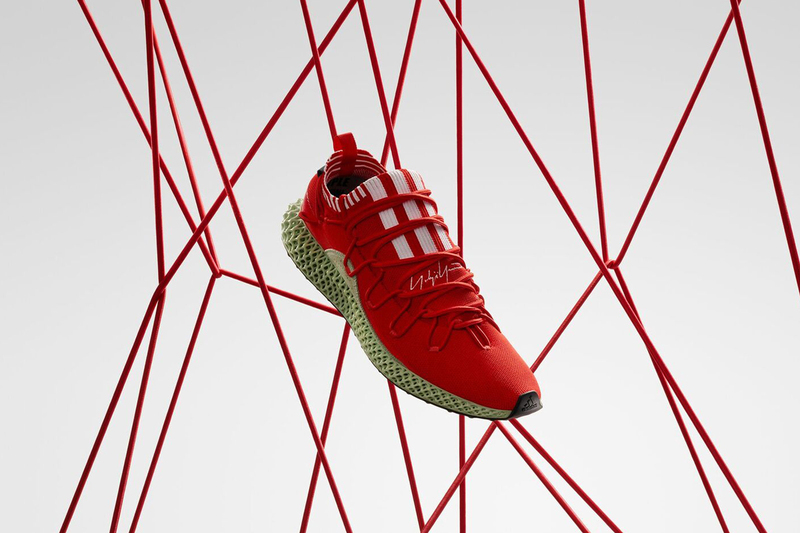 A tunnel entrance leads to themed areas such as the Track and the Turf, where shoppers can sample products and experience the adidas lifestyle, explored through such categories as running, training, originals, and basketball. 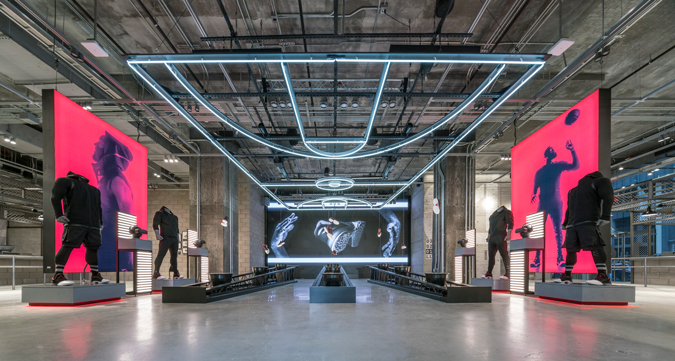 Driving the gymnasium theme home, the store includes bleacher-style seating for live game viewing, dressing rooms re-imagined as locker rooms, and a guest kiosk with healthy juices and snacks available. 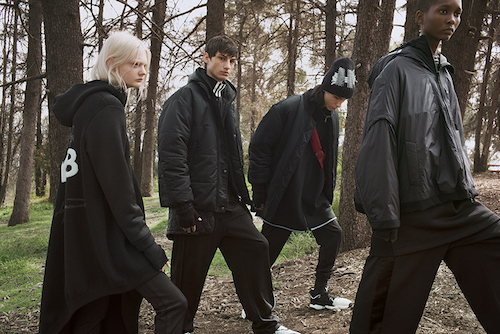 A large range of apparel and sportswear is available across all four floors, including the brand’s latest Autumn/Winter 2016 collection. 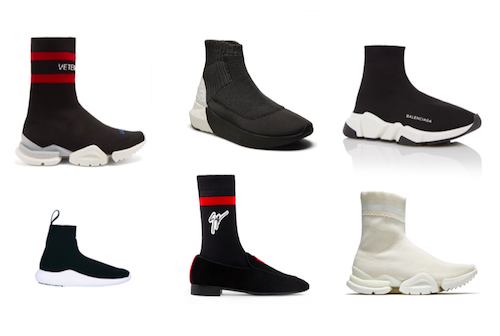 With personal fitness consultations, concierge services onsite for same-day hotel delivery, and a print shop downstairs, the store enables customers to become part of the experience. 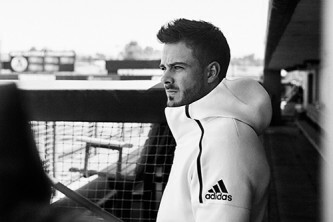 With a formidable position in sportswear and this impressive new flagship, adidas has once again stepped up its game. 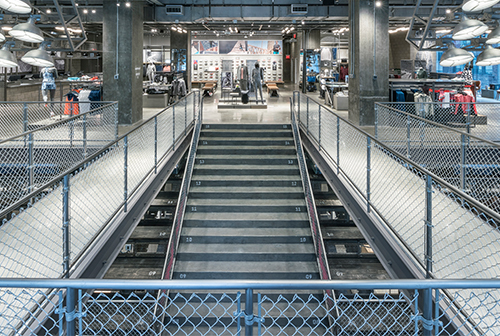 The adidas flagship is open now at 565 5th Avenue, New York, NY 10017.